A Lagos High Court sitting in the Ikeja Judicial Division has ruled that the Freedom of Information (FOI) Act, 2011 is applicable to the Lagos State government. A statement issued on Wednesday by the Programme Manager (Legal), Media Rights Agenda (MRA), Mrs Mosunmola Olanrewaju, said the court also ruled that the FOI Act does not require “domestication” by the state to have an effect. Justice Beatrice Oke-Lawal held that the National Assembly had validly enacted the act, saying it was applicable to the Federal and state governments. She gave the ruling after dismissing a preliminary objection raised by the Lagos State Ministry of Health in a suit instituted against the ministry and the state government by MRA, over its failure to disclose records and information requested by the organisation under the act. MRA had also requested for the details and copies of plans put in place to provide the estate with healthcare services, taking into consideration the peculiar needs and circumstances of the community. Other request made were details of any assessment carried out on the needs of the community and its residents, as well as copies of relevant assessments reports; an outline of the timeframe for the implementation of the plans if there were any; and details of the budgets and costs estimates for the implementation of the plans. Following the failure of the ministry to respond to the agency’s request, the MRA, through its lawyer, Mrs Olanrewaju, filed a suit against the ministry and the Attorney-General of the Federation. In the suit, the agency asked the court to declare that the ministry’s refusal to provide it with the requested information was wrongful and also to compel the disclosure of the records and information to the organisation in accordance with the FOI Act. The ministry, however, filed a notice of preliminary objection to the suit in which it contended that the court had no jurisdiction to determine the suit and asked that the suit be struck out on the grounds that it was not a juristic person that can sue or be sued. It said that the substance of MRA’s case was not contained in the Exclusive Legislative List under the Second Schedule to the 1999 Constitution to confer exclusive power on the Federal Government to make the FOI Act for the Federation. It also said MRA’s grievance was against the state government which is not an agency of the Federal Government, and that even if the FOI Act was applicable to Lagos State, the agency’s application for judicial review was filed outside the 30-day time limit stipulated by section 20 of the Act. But Justice Oke-Lawal, in her ruling on the ministry’s preliminary objection on Tuesday, said three issues arose for determination in the matter which included whether the FOI Act was applicable to Lagos State, whether MRA was out of time in filing the suit, and whether the Lagos State Ministry of Health was a juristic person. On whether the FOI Act was applicable to the state, the judge, after an analysis of Section 4(5) and (6) of the 1999 Constitution (as amended), ruled that the National Assembly has the power to make laws for the peace, order, and good government of the Federation on any matter included in the Concurrent Legislative List. She added that if any law enacted by a State House of Assembly was inconsistent with any law made by the National Assembly, the law made by the National Assembly would prevail. Justice Oke-Lawal said based on the provisions of these sections of the Constitution, she opined that the wordings of the Constitution were clear as to the powers of the National Assembly to make laws for the Federation as long as the issue was within the Concurrent and Exclusive Legislative lists. She also upheld Mrs Olanrewaju argument that the FOI Act was validly enacted by the National Assembly and as such, was applicable to the Federation and not dependent on states adopting it for it to become applicable in such states. In support of her position, she cited the decisions of the Supreme Court dismissing similar challenges made to the validity and applicability of the Economic and Financial Crimes Commission (EFCC) Act and the Independent Corrupt Practices and other Related Offences Commission (ICPC) Act to the states. The judge, therefore, held that the FOI Act applies to the Government of the Federation as well as to state governments. After ruling on other issues, she said the preliminary objection raised by the ministry lacked merit and accordingly dismissed it. 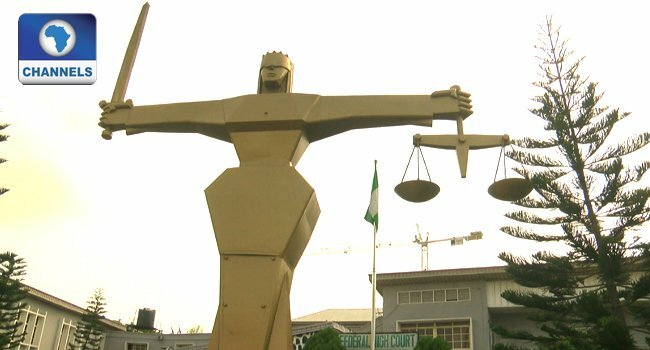 Justice Oke-Lawal then fixed December 20 for hearing in the substantive suit.